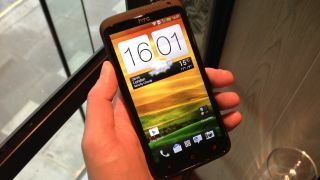 The HTC One X+ handset will now go on sale in the U.K. on October 30, according to one site offering the device for pre-order. The supercharged handset, announced and promptly given the hands-on treatment by TechRadar earlier this month, improves on the processing power, storage and battery life offered by the original One X. The British-based Clove Technology online store had pegged an Oct. 22 release date, but has since said stock of the handset, which will also feature Android 4.1 Jelly Bean out of the box, has been delayed. Alongside the newer version of Android, the HTC One X+ handset offers a 1.7GHz quad-core Nvidia Tegra 3 processor, which the Taiwanese giant has claimed makes the device twice as fast as the original. It also has double the available storage at 64GB and a larger 2,100mAh battery that HTC has said offers up to 50 per cent more talk time. The new features accompany the impressive 4.7-inch display, 8-megapixel camera and Beats audio tech that earned an impressive 4.5/5 star TechRadar review upon launch. TechRadar has reached out to HTC for news on the delay, and will update this story if confirmation is forthcoming. Meanwhile, Clove is still offering the SIM-free One X+ for pre-order at £474.